When history professor Ian O'Brien purchases an old collection of letters and books, he unknowingly steps into the world of a shadowy organization. 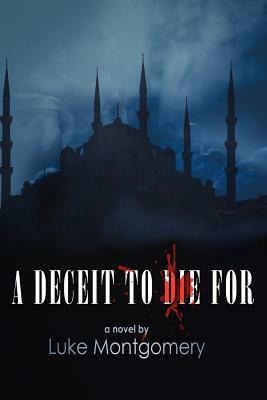 His family is soon caught up in a web of intrigue and deceit spun out of a 16th century Muslim conspiracy that somebody still wants to keep secret. This powerful and ruthless group will stop at nothing to recover the document. Events spin out of control, tragedy strikes and the quest for answers begins. Facing impossible odds, they race against time to discover the truth and save their loved ones. In the process, they learn just how powerful and enduring a lie can be. FROM THE PUBLISHER Meticulously researched and drawing on historical facts, Luke Montgomery's fast-paced, thought-provoking thriller exposes the dark history behind the cultural and religious challenges we face today. This explosive and courageous debut novel forces us to grapple with issues of identity and faith. In the words of one reviewer, "Never again will you utter the words 'gospel truth' without thinking of this book. Raised on the ancient hunting grounds of the Mescalero Apaches, Luke Montgomery cut his teeth on tales of Geronimo's exploits, supped with Viking heroes in Valhalla and embarked on exhilarating voyages with Odysseus. Somewhere along the way, he grew older, but he didn't grow up. After obtaining his MA in Linguistics, he set a course for adventure in Europe and the Middle East, where he lived for over a decade combing Hittite, Phrygian, Lycian, Greek and Roman ruins on the shores of the Mediterranean and Aegean. An inquisitive anthropologist and history buff, Mr. Montgomery immersed himself in the local culture, mastering both the language and customs of the people. He has sipped tea with the sons of Ottoman sultans, explored the Taurus Mountains with Turcoman tribes, listened to haunting Kurdish folk songs and watched the sun rise in Aman with the Arabic call to prayer floating over the desert sand. When he is not consulting private and public institutions with interests and operations in the Middle East, he tends grapes, raises Longhorn cattle and researches political developments. As an expert on Islam, he spends much of his time researching and writing about religious politics.